While recording flora with a local association (AEF) in the park of a well-known rest-home in Brussels, I stumbled on this, growing on a rocky pathway. Hey look! Parasols! And little cocktail glasses! No, really…what could these bizarre greenish things be? True plants? Mosses? Ferns? Wrong, wrong, and wrong again. 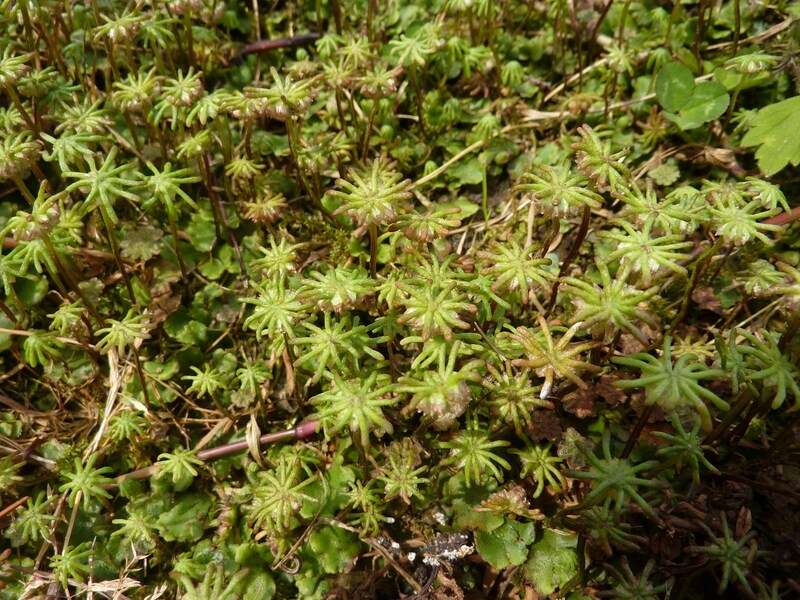 It belongs to the liverworts, one of the most primitive living plant groups. Its name ? 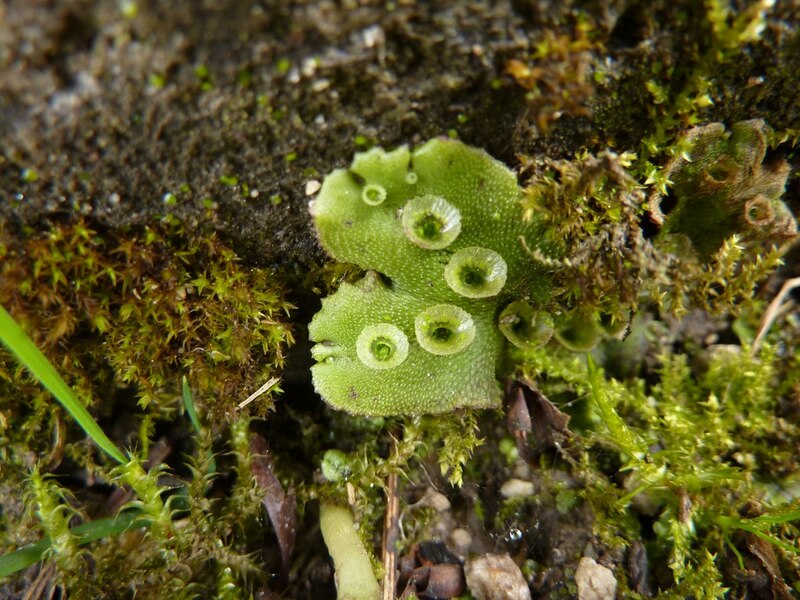 Marchantia polymorpha, understandably named the umbrella liverwort in English. Now, why am I showing two pictures? 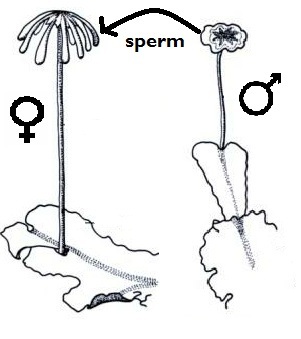 The first picture is linked to the sexual reproduction of Marchantia (“male/female stuff”!). It is unisexual (some individuals are female, some are male). The picture here shows the female reproductive structures, called archegoniophores. The male ones, antheridiophores, have a similar look, but the top has a flat disk shape. It is actually a very clever plant : the flat shape of the male structure forms a splash cup. As rain droplets fall on the top, the sperm can be dispersed by splashing 40 to 60 cm away ! After that, the female eggs get fertilized, and spores are liberated. Liverworts are not particularly spectacular, and yet…they have a very important ecological role, like mosses and hornworts : they retain water and nutrients, they can form a substrate for other plants to grow, they serve as food to mollusks and insects… Medical research could also benefit from liverworts, particularly of the genys Marchantia : extracts seem to have powerful anticancer and antimicrobial effects. Next Post Urban ponds – wet and wild! That is a wonderful little liverwort!